Jordan of the Islands established his name on the West Coast of Canada as the bearer of some of the best skunk phenotypes in the world. His strain God Bud a ramped up purple skunk that made people reply \"God!\" when they smelt it\'s heavy stankness. Jordan of the Islands seeds\' has been around over a decade. Jordan is dedicated to bringing some of the most flavourful, aromatic and potent strains to the market. 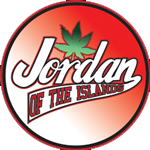 Accept no substitutes, Jordan of the Islands is the original proprietor of the finest God Bud Phenotype.